Andy Carroll confirms his commitment to Newcastle | NUFC Blog. 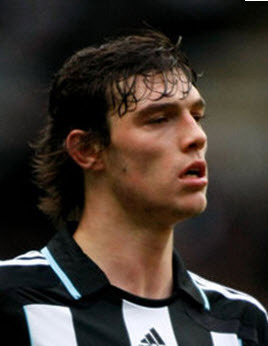 Archive for tag: Andy Carroll confirms his commitment to Newcastle. Andy Carroll has insisted that he’s staying at Newcastle United despite the replacement of Chris Hughton with Alan Pardew as manager. Carroll was in a buoyant mood yesterday, no doubt helped by the fact that the CPS have dropped the latest assault charge against him due to a lack of evidence. In an interview with The Chronicle he appeared to confirm his commitment to the club. Carroll expressed his appreciation for all that Chris Hughton had done for him – both on and off the pitch – and then turned his focus to the new manager. “He’s gone now, and I just need to keep on working on what he’s taught me, and with the new manager, I’ve got to listen to him,” said Carroll.